The Meaningful Use dropout rate—what does it mean? The year 2012 saw a huge increase in the users of Electronic Health Record (EHR) systems, but at the same time, the retention rate dropped dramatically from 2011. According to the Centers for Medicare and Medicaid Services’ (CMS) report, in 2011 only 11,578; and in 2012, 9,188 family physicians attested to the Meaningful Use program. It is a huge dropout of around 21 percent drop, in terms of participation. Has your practice registered for 2013? Hospitals currently participating in the Medicare EHR Incentive Program must complete registration and attestation for fiscal year 2013 according to the Hospital Attestation Deadline of November 30. Will the dropout rate continue this year? Let’s have a look into the factors which led to Meaningful Use dropout rate in 2012; and how your practice can avoid this. It is quite surprising that providers are dropping out because the incentives will continue to decrease in the coming years. Unfortunately, if the trend continues, only a few number of providers would have actually benefitted completely from the EHR incentive program. It seems physicians need a motivational push to remain committed to the incentive program. Government initiated a campaign through Regional Extension Centers (RECs) in the first year (2011) to get physicians on board. RECs were provided incentives but they were not given any benefit for the next year (2012) to retain the number of registered physicians. As a result, the effort put by RECs were reduced to a sudden burst in the number of family physicians registering for the EHRs, but a negative retention rate of MU participants was witnessed in the next year. The growing trend to replace the EHR software may very well be one reason of the MU dropout ratio. Providers, who are dissatisfied by their current EHR system, turn to replacing the system and with the latest technology available they can do so, but the implementation process takes time. The provider may well need time to train their staff and get accustomed to the use of the software. This results in missing the important date of registration. 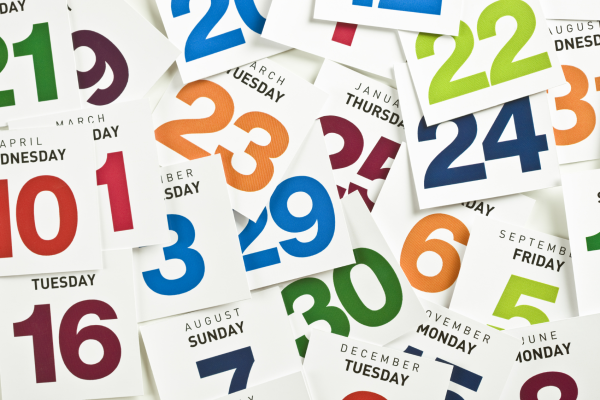 Some physicians must’ve missed the attesting time for 2012 because of the carelessness on their part or simply the fact that information providing organizations like RECs or EHR vendors were not active enough to inform providers on the revenue they will miss upon if they did not attest. It is a mistake on the part of the provider, and failure on the part of the informants. EHR vendors will be very active this year, because of the negative report. They should make sure this time that modify their software in a way that has efficient MU attestation dates reporting capabilities. A real-time MU reporting tool can help the practice remain on MU incentive track. When providers start relying on software, they expect their software to do everything for them. So, providers should demand such functionality from their vendors to be on track. But wait CMS has its own plans, too. Drop rate will reduce and retention rate will improve, how? It aims to charge penalties for those providers who are unable to meet MU status by the year 2015. It wants to push forward with MU Stage 3, and for that it wants as many providers as possible on board. 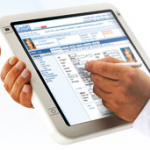 Why would you need a new EHR system? The question arises because of certain reasons; one possible reason could be your continued dissatisfaction with your current EHR system/vendor. The other and as good a reason as the first one is, your current EHR vendor isn’t providing the package you need. EHR vendors have increased manifold in the past couple of years. This happened because of the initiative taken by President Obama to introduce Obamacare: a program to encourage healthcare uninsured people to register for insurance plans to improve healthcare system and to promote providers to use electronic health recoding technology. Meaningful Use standards: Your software should meet the criteria in Meaningful Use. You may need to replace your system because your vendor may not be compliant with Meaningful Use standards. The framework is arduous to remember and the only thing you are relying on is your software, so buy a system that is up-to-date with Meaningful Use compliances. Fast Processor: Do you want slow, clunky, and choppy software that slows down your system? The answer should be a big NO! So, what you need to is a big RESEARCH! But you can obviously hire a consultant that will do the job for you. Always remember you are choosing the EHR system that does work for you, that smoothes out the work flow of your business, whether clinical or operational. Try few software before buying one, free demos are your best option. Ultimately, choose a one that you feel intuitive. Salesman is always there to draw you in the software, take your time, don’t rush into buying anything. You need a fast system that produces results or does what you ask the machine to do. Too many clicks and still you are stuck on step one, is no good. The basic functions should be fast and efficient to perform. Final advice: choose EHR vendor that has a strong financial backing. It will give you some surety that the company will be responsible for their actions, and in case of loss will compensate for the loss. And do try out those new Mobile EHR apps that may serve your purpose and may end up choosing Mobile EHR that is iPad-compliant! Experts have recommended that care providers will be better off if they start the ICD-10 implementation process at least 6 months to a year before the deadline. This is instrumental in understanding potential impacts on the practice related to finances, operations and the technical side of things. Furthermore, it will take time for everybody at the practice to fully comprehend and understand the new set of codes and to properly use them in claims. The second step requires patience, support and effort. Traditional phases of testing include system integration, user acceptance, clinical collaboration and an overall testing. It is imperative to create the most realistic scenarios to demonstrate testing so that it is as close to reality as possible. The importance of urgent ICD-10 implementation cannot be undermined. With the help of your ICD-10 experts, it is recommended that you devise and establish a regulatory framework, establish risk & project management structure and communicate with external partners. Establish a training plan based on staff training needs. Create awareness among the staff regarding the effects of ICD-10 and its implementation. Develop a plan of communication with and between the staff. Now is the right time for a formal assessment of your business and the impact your implemented policies have on it. Furthermore, at this stage, it is crucial to evaluate your vendor and assess the technological impact the usage of new technologies is having at your practice. Determine and test system migration strategies, deliver operational training and train the staff on how to effectively use the system. Test the technical modifications and see if they work seamlessly with your system. Establish the environment for a go-live scenario. Make sure everyone is ready and well trained for the updates to take place, so that the daily work load is not hampered in any way.